ONLY $99.99+! HURRY! FIRST COME, FIRST SERVE! CLICK TO WATCH ON OUR YOUTUBE. Don't Be Like Frank. Be Like Jim. As one of the top suppliers of police lights and LED emergency light bars online, SpeedTech Lights provides A+ customer service and has a team that is dedicated to your satisfaction. Whether you are outfitting your personal vehicle or searching for LED police lights for the entire fleet, we have everything you need! 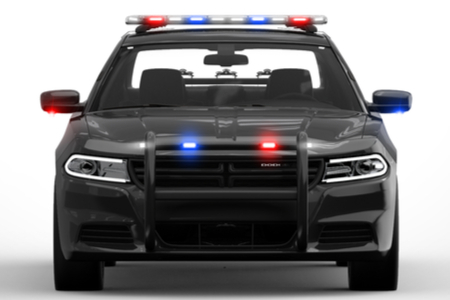 At SpeedTech Lights, we offer a variety of high-quality emergency vehicle warning lights to meet your needs ranging from police LED lights, police sirens, tow truck light bars and all types of LED light bars. When you order any type of vehicle emergency lights, you will receive fast, helpful and BBB A+ rated service from every member of our team, every step of the way. We understand the importance of having dependable products, so we take great pride in providing Performance You Can Trust, Quality You Can Afford™. Knowing how critical LED warning lights are to the safety of workers on site, we offer a range of vehicle warning lights with unique, custom features that can be integrated into any vehicle setup. Amber emergency lights for tow trucks and construction vehicles are essential to ensure the safety of workers. It is important to outfit your vehicle with bright, high-quality work lights that are powerful enough to be noticed by passing drivers in both daylight and night time conditions. Our affordable emergency light bars come in all sizes and can be customized to match any lighting needs of any industry. They can complement any type of lights package including ambulance lights, fire truck lights, or tow trucks lights. We also offer a wide range of motorcycle emergency lights and off road light bars that will make sure you are ready for any emergency that may arise. A provider of LED emergency vehicle lights for over 13 years, we supply individuals & departments with strobe light bars, vehicle warning lights and other emergency vehicle lighting equipment worldwide. 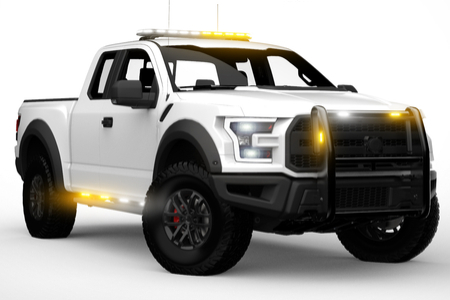 SpeedTech Lights has become a preferred provider of police light bars due to our quality, affordability, and customizability to suit any specific outfit. 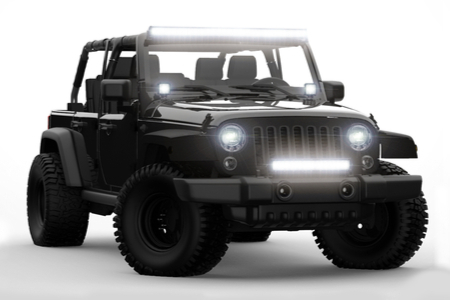 Our A+ customer service team is here to help you pick out the right LED warning light bars package or police strobe lights that fit your needs. From local small businesses to big city departments and international government fleets, we've outfitted them all. Our main focus is complete satisfaction for each and every customer. Feel free to contact us anytime and our trained professionals will be able to assist in identifying the right emergency lights for your vehicle or your fleet of vehicles. SpeedTech Lights offers the experience and quality you are searching for! Since 2005, we’ve worked hard to develop and maintain a strong reputation as the leader in our industry, backed by our BBB A+ rating and our 5-star ratings across countless review sites for over 12 years. The SpeedTech Lights Advantage provides not only the best customer service experience but fast shipping timelines, longest warranties, high quality patented product lines and customizable features to suit any emergency vehicle applications. Our mission is to provide reliable and afforable warning lights and equipment, delivered with the highest level of customer service and company spirit. If you are searching for top quality, high-performance emergency warning lights at an affordable price, then SpeedTech Lights is the answer! Our knowledgeable team is here to answer any questions so that you can Shop With Confidence®. At SpeedTech Lights, Trust Is Earned®.